I first discovered Eva of Four Leaf Clover when she guest blogged at Not Your Average Ordinary during Brandi's road trip from California to New York. After reading about her travels through Paris, Venice, Athens, Prague, Krakow and Vienna, I wanted to know more (and take off on my own trip already)! Luckily for us she was more than happy to share her fondest memories about her time in Venice. Like her, I'm sure once I visit the city I'll feel like my time will be much-too-short. Venice, Italy will always have a special place in my heart. It's full of old, beautiful buildings, bridges, boats and apparently a lot of things that start with the letter "b." 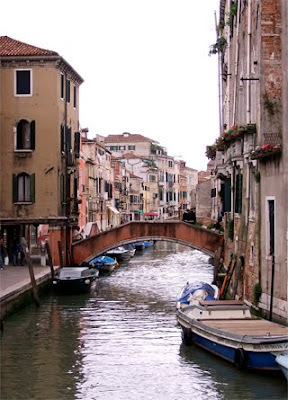 Reminiscing over my favorite parts of the city and the time I spent in Venice has brought up a whole list of memories. Here are some of my favorite. 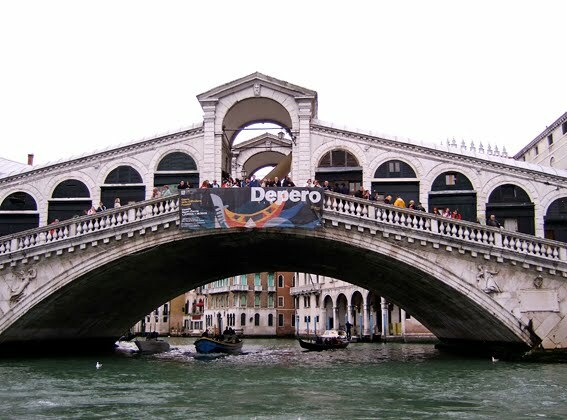 One of the first and last monuments I saw in Venice was the Ponte di Rialto (Rialto Bridge). When nearing our first stop on the boat taxi, my friend and I passed under the Rialto and from then I was determined to go back to it within the three short days of our time in Venice. It happened on our last day in Venice and only a few hours before we had to catch our ferryboat to Greece. Although we were cutting it close, I persuaded my friend to go back into Venice one last time. I chose the steps of the Rialto Bridge to enjoy those last few moments and boy, am I glad! Those minutes made the whole trip worth it. 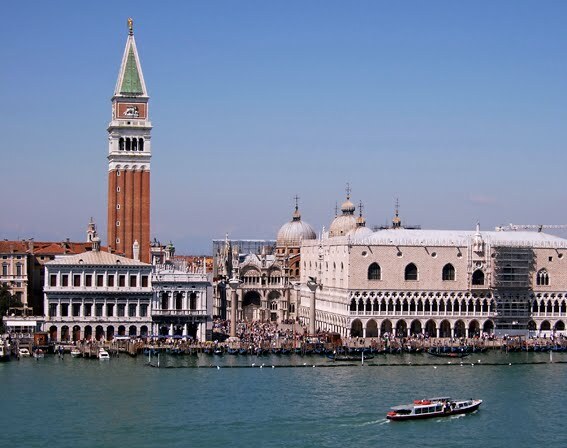 It was the first day the sun had graced Venice during my time there and the city was taking it all in. People were pulling up their pant legs, taking off their shirts (guys and girls, but the girls had tank tops, of course!) and tanning along the canal. It was as though the city wanted me to remember it in its full glory. 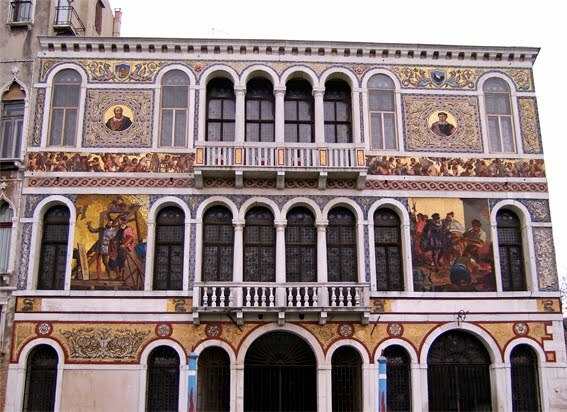 Not only is Venice unique because it's a city made up of islands, but the architecture is something else as well. Each building has so many details in the window frames, the wall colors, the design. If only the whole world tried its very best to keep everything as unique and full of details as Venice does. At the time, I was disappointed with how many buildings were covered in scaffolding, but it takes a lot of effort to keep a city like this in good shape. My friend and I got lost so many times in Venice. All those bridges and alleyways get you from one island to five over in no time. Looking at the map, you'd think you're far from one main island only to be crossing over a bridge to where you want to be a few minutes later. Getting lost, though, was one of the best things we could have done. We saw things we'd never have known about had we just stuck to the main spots. We ended up in local neighborhoods full of cats, hanging laundry tied from one window to the other across the pathway and empty streets. In the image above, notice that the boats aren't the famous gondolas that always represent the city, but rather the ones locals use as their main form of transportation. We got to see what it's really like to live in Venice. At the same time, it made me sad to think that Venice would soon become quite empty if it weren't for tourists bringing in business. Piazza San Marco (St. Mark's Square) was the first place in Venice where I set my feet down and one of the last views I got of the city from the ferryboat. It's hard not to believe in magic in such a miraculous place. Since it's been a few years since my last and only trip to the city, I can only remember bits and pieces. Venice is a city which pulls you to return and I don't know what the Italians have done to sprinkle charm over their whole country because even though I was only there for three days, it sparked that desire within me.